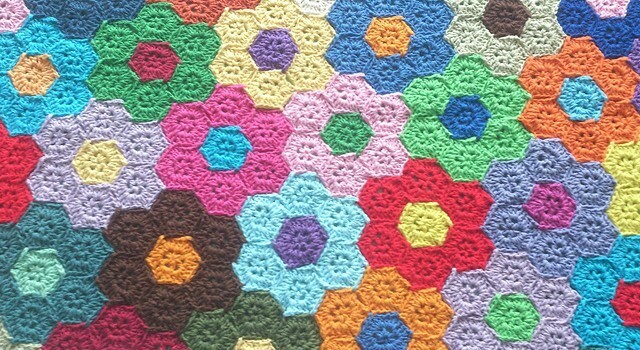 Seven cute hexagons make a beautiful flower and more colorful flower hexagons make a gorgeous blanket! 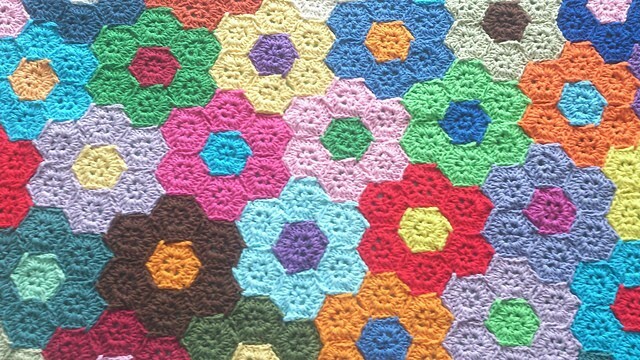 This Flower Hexagons Blanket by Atty van Norel is the perfect pattern for spring, summer and any sunny day in your heart. One of the great advantages of this pattern is that you can use all your scrap yarn to create something really beautiful. The pattern for half hexagon is also given to allow you to make straight edges for your crochet flower blankets. This blanket pattern comes with a very detailed photo tutorial. There are pictures of every step of the process, even a beginner can easily make it! Thanks to Atty for the article inspiration and featured image. Did a variation but more complex. Stunning! WOW! Peg, amazing project! Thanks for sharing! I used a few patterns, but the main one is the African flower. I love this pattern My sister made it for a raffle it is one of only a few things I ever won. My mother made a quilt with a pattern like this years ago but she put white hexagons between all the colored ones. It was a very pretty quilt. I have made this! Very long project! This is a great pattern, especially attaching each one as you crochet it. You don’t have to sew them together like the granny squares. reminds me of an old fashioned quilt! Wow! This is beautiful. I can imagine the patience to do this. My Mom made one ages ago!